Fill out our Request Form so we will have all the information needed to provide an estimate. If you are having problems with the form you can email SterlingShelterClinic@gmail.com or call (978) 422-8449. Allow 2 business days for us to contact you, if you have not been contacted within 2 business days please call us. After receiving the estimate and booking an appointment with a staff member you will need to fill out the forms below. Bring these forms with you on the day of surgery. If you need to cancel or reschedule, please notify us as soon as possible. Be on time and prepared, we process all the intakes at 7:30 am. All of the estimates that we provide are given at the lowest possible cost based on zero complications. On some occasions animals (just like people) present unforeseen complications that we only realize at the time of surgery. We have to charge for these costs to continue operations. Below are some of the more common complications and the additional charge that may be incurred if these happen when we are performing surgery on your animal. Periodically, the Sterling Shelter Clinic will also run additional discounts, specials, or promotions. You can like us on Facebook to follow along and watch for these specials. Additional Services and Products – Many are NOT OFFERED by other Veterinary Hospitals. 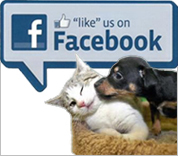 Our clinic offers Feral Fix – spay/neuter male or female for feral cats (includes ear tip/rabies). After Surgery – all animals receive pain medication. 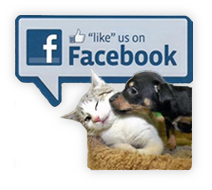 If you are having your pet spayed or neutered we offer low cost vaccinations – internal and external parasite preventative – heartworm preventative and E-collars to prevent licking incision as additional and optional services. Low cost micro-chipping $35 services. Most hospitals charge $65-$75+ to micro-chip a pet. Our shelter office has a retail area which offers a wide variety of lower cost pet items for your pets – crates, beds, toys, leashes/collars, shampoo, stain/odor remover – we’ve got it all and sell it far cheaper than the pet supply stores. 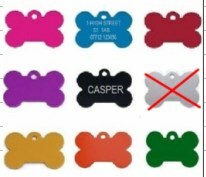 Our shelter offers PERSONALIZED IDENTIFICATION TAGS engraved while you wait. ID tags and micro-chipping Learn WHY ID tags are critical to returning a lost pet.